Selecting your family dog should be a well-researched and carefully considered activity. Are you prepared to make a permanent commitment to this new family member in sickness and in health? For as long as all shall live? Even as the dog grows old? Here are few things to consider. Who will be the primary Caregiver for the dog? One adult should be assigned as the primary caregiver so the dog does not get lost in shuffle of everyone’s hectic schedule. 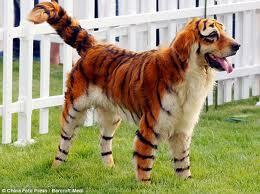 Although this may be a family pet, children should never be given total responsibility for the dog. During the 10 – 15 year lifespan of the average dog, children will be growing in and out of various life stages and the family dog’s importance in their lives will wax and wain. What is your budget? The cost for a new pet can vary from “free to a good home” to several thousand dollars. But, there are other items to budget as well: Monthly food expense, healthcare expenses, emergency vet visits, and toys to name a few. And let’s not forget your time. Pets require your time and attention. They are all about their people. Do you have the time to give your pet? What are the ages of your family members? Do you have children under 7 years of age? It’s advised that you should not get any small dog under 15 pounds regardless of the dog’s age and no puppies under 5 months old. 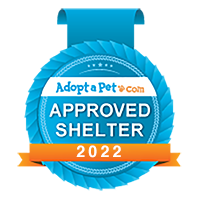 Many pet rescues and pet adoption agencies will not adopt to families with children under 7 years of age. On the other end, do you have any elderly or physically challenged individual’s in your home? Be sure that the new dog fits the current physical capabilities of his caregiver with an eye toward what the next 10-15 years will bring. Please make selecting your new family dog a life-affirming act. Too many Americans have become disposable pet owners. Doesn’t your family dog deserve better? This entry was posted in Adoption Tips by Cindy. Bookmark the permalink.